I arrive at Current360 for my first day of my internship in Client Services, anxious to peek behind the curtain of the advertising business. I’m welcomed and shown around and to my working space. I walk into a room with three advertising characters of which I quickly learn have an unwritten law called The Code of Silence that states, “The devious plots and prank conspiracies devised in this room…don’t get shared with ‘outsiders’ of this room,” for fear of foiling whatever shenanigans we’ve thought up in between completing our daily tasks. I, then, turn to look at my new desk. A blue, plastic toddler’s chair is in the place of what I thought would be a regular, adult-size computer chair. After I swapped the toy chair out for a normal chair, I turn on my computer to see my login username. It reads, “Friggin’ Intern.” The Current360 IT Guru, Nathan Spry, promptly entered into the room chuckling to walk me through the Current360 system as I laughingly added, “nice touch with my login name, by the way.” Foreshadowing that my humor and personality will fit right in at this place. “It’s time for JOLT,” they said.  JOLT is a company-wide meeting in our studio where each person briefly states their day’s task list, referencing items that other team members are involved in so everyone is on the same page. Sometimes we have an “umm-free” JOLT where we try to refrain from saying, “ummmm” while we address everyone. Other times we sing our task list. Nick is always sure to tell Brandon how pretty he looks. I am invited to join a meeting with the Kentucky Derby Festival regarding submissions for the International Festival & Events Association Pinnacle Awards. I was thrilled that on my first day I actually got to be involved with a client meeting. It was exciting to be a part of the team and working projects with clients instead of “intern duties” of stapling papers, making copies and brewing coffee. After the meeting we hurry to the car due to the heavy rain coming down. As we are waiting to turn out of the parking lot…BOOM…a lady on a bike runs into the side of my supervisor’s car leaving a scratch all the way down the side, then, casually continues on as if nothing happened. We dare not approach this intimidating lady with no fear of cars and a total disregard to road etiquette, bicycle maneuverability and her own personal safety. The mere fact that she’s on a casual bike ride in the pouring rain was strange enough. Orientation of CurrentTrack. I get trained on our internal traffic system that manages work process and billable time. I go over Workflow Policies and Procedures to learn how CurrentTrack is used regarding our clients and daily tasks. I am taught how to input client information, progress reports, purchase orders, client contact reports as well routing procedures between departments throughout the process of a project. Change of plans! An on-site photo shoot I am planning to attend is cancelled. Our client had a last-minute issue come up and needed to reschedule. Back to the office. I am given my principal account, WaterStep, under the tutelage of our VP of Operations, Lisa Shardein (and her trusty sidekick Golden-doodle, Mona). I am, then, briefed on WaterStep’s current situation as a non-profit organization that provides water, health, and hygiene training and hand pump repair training accompanied with simple and sustainable water purification systems to help disaster relief areas and developing regions all over the world. What a great cause to be involved in; I can’t wait to get started! 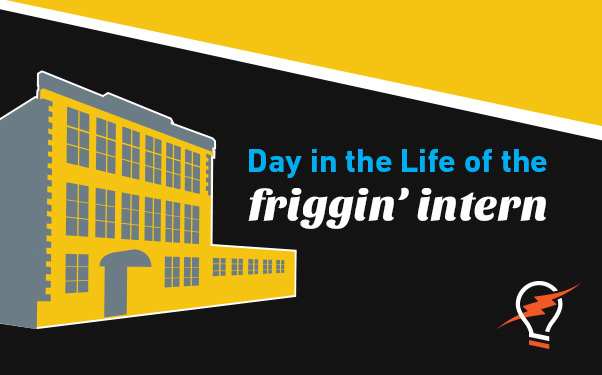 My first day as the “Friggin’ Intern” has come to an end. There were jokes played, laughs shared, wrecks witnessed, plans changed, procedures learned, clients met, work done, hours billed, and…an introduction into a company… no, scratch that… a family of advertising kooks that I knew I would fit into just perfectly. Fast-forward 1/2 months….I am adopted into the whirlwind of the wacky advertising family of Current360, full-time as an Account Coordinator.